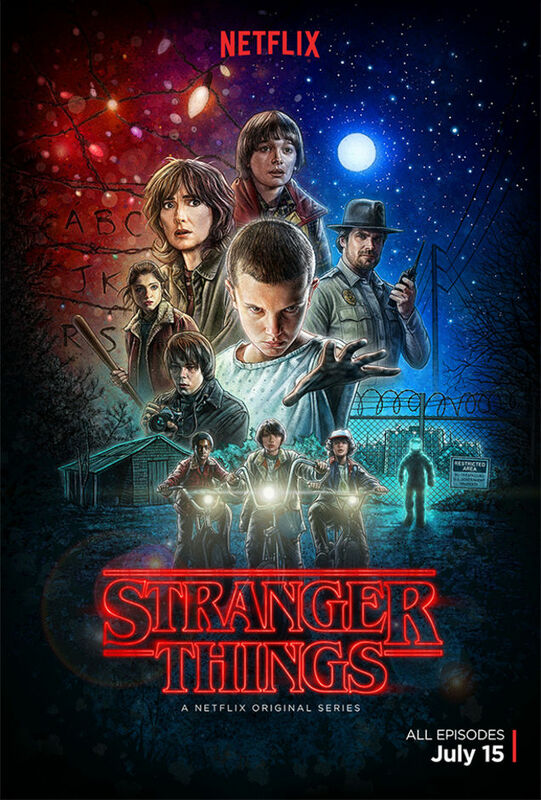 So after binge watching the first episodes of the new Netflix show Stranger Things I haven't been able to sleep. In my sleepless nights I have been planning a themed party based on the show. Part Halloween party, part '80's party. It will be awesome. Costumes are called for, of course. Fortunately huge glasses were hip two years ago so it shouldn't be too hard to do that. Then just feather your bangs, wear stirrups on your leggings, and find a jean jacket. You'll look great. Decorate with lots of Christmas lights and lamps. Maybe pin up the alphabet on your wall, too. Rotary phones, trucker hats, a "flying" Millennium Falcon, Dungeons and Dragons pieces, maybe a hatchet - those would all be great little touches, too. Your 80's playlist should include The Clash, especially "Should I Stay or Should I Go." And that one needs to pop up multiple times, obviously. Boom. Party plans: done. You're welcome. And Eggos! Lots of Eggos.